Children can be extremely vulnerable to life’s shocks and unpleasant experiences. 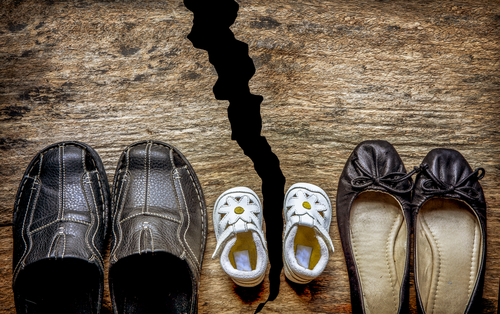 Divorce and subsequent remarriage and or introduction of a new partner into the life of a child can have a very devastating impact on them if not managed carefully. Studies have shown that divorce has a negative impact on the academic ability of a student. These show that such students show a falling back in academics and poorer test scores. The other related statistics also point towards the devastating impact of divorce on the psychology and motivation of the child. Students from broken families are more likely to drop out of school. They are more likely to fail in completing the term. They are more likely to indulge in disciplinary behavior and get expelled. Show more emotional problems including depression, demotivation, loss of self control and indulgence in problem behaviours such as fights, running away from home, anxiety, sadness. These feelings can begin even before the actual separation occurs. Children may also fall behind in math on account of the divorce related conflicts as well as making friendships. The problems can be even more challenging when the child is forced to enter a new relationship: that of seeing his parent with a new stranger, who may become the step parents. It is another test of the resilience and adjustability of children, who are already coping uner the emotional burden of having to meet both their parents separately. Hence, it is essential for parents who are facing this situation to deal with the possible effects and problems on the children: they have to make it clear to them that regardless of their personal situation, their love and commitment to their children would never change. They also need to reassure the children that the divorce is not their fault and that they should not hold themselves responsible for it. They have to steer them through these changes.